Add a touch of sparkle to your dinner table with these crystal hi-ball glasses. Made in Italy, the high quality design is perfect for a dinner party or special event and guaranteed to impress any guest. 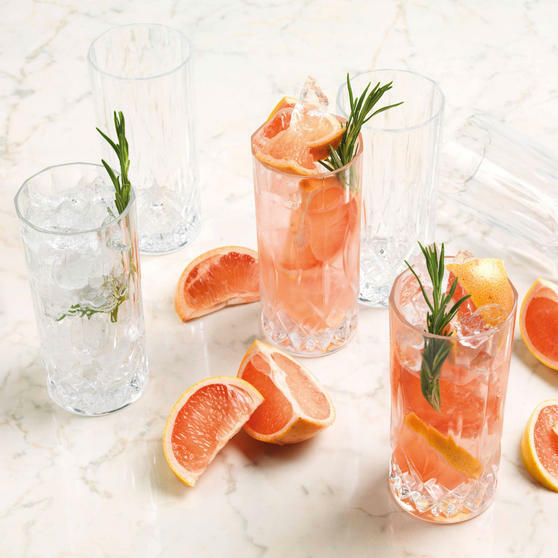 The brilliant, clear crystal adds a timeless look of elegance which will boost any tableware, creating a contemporary twist on a classic look. 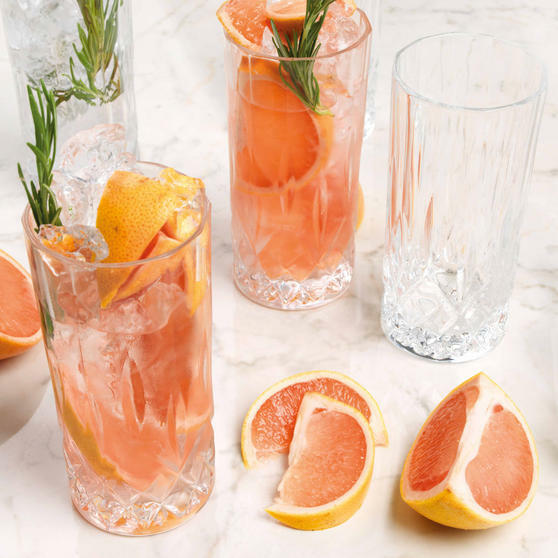 Whether you are looking to start a collection or simply refresh your glassware, these crystal Opera glasses are a sublime addition to any home. 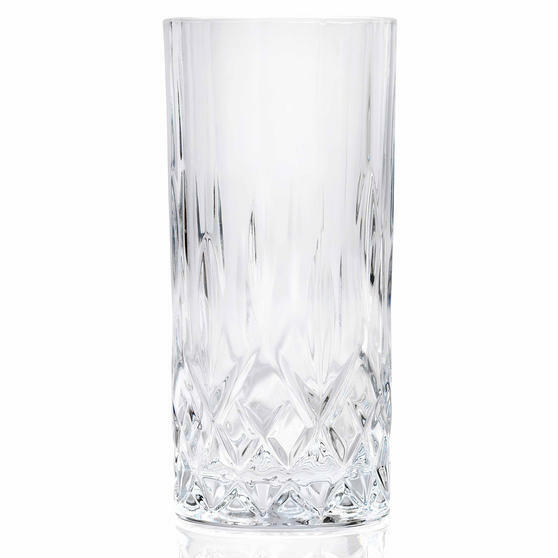 Measuring approximately 14 cm high with a width of 7 cm, the glasses taper down towards the bottom into a stunningly shaped base. A set of 12, these hi-ball glasses are ideal for use on a daily basis for family meals or for special occasions such as dinner parties. 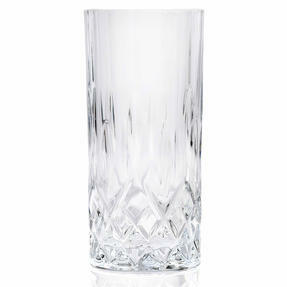 With a generous capacity of 400 ml, these glasses suit any setting and are the perfect addition to your collection. 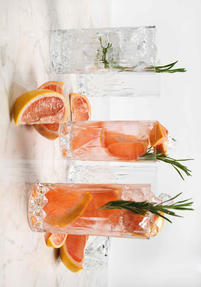 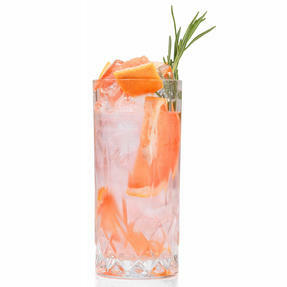 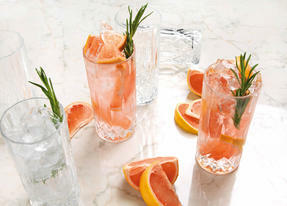 These tumblers are great for hi-ball cocktails; try a Bourbon Highball - bourbon whiskey and ginger ale with a twist of lemon.